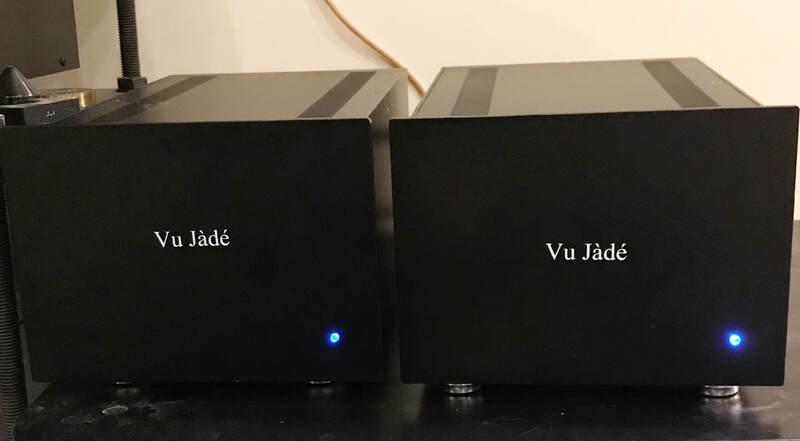 ​Vu Jade Audio teamed up with GT Audio Works at the recent 2017 Capital AudioFest and was awarded "Best of Show" by Todd Anderson from AV Nirvana. I’m feeling a tad impatient today, so I’m flipping the standard script and kicking things off with my favorite find at CAF 2017. For my money, GT Audio Works and its magnificent GTA3R Planar/Ribbon Speakers which were matched with Sound Insight’s dual SI 600 Open Baffle Subwoofers graciously slid into home for the win. - the system’s articulate punch and depth is downright ridiculous. - the supporting cast of Pass Labs pre-amps and mono-block amplifiers, Triode Wire Labs power cords, cables, and interconnects, an Esoteric K01x SACD player, an Acoustic Signature Triple X Turntable, and the ​Vu Jade Audio tubed DAC . - its sound (oh that AMAZING sound), let me tell you, the sound was stunningly beautiful, presenting a massive and highly detailed soundstage that’s punctuated by serious depth. ​And clarity? It’s all there, folks.